Yesterday I offered you the first handful of games that stood out to me throughout 2010 and talked about the elements of them that I'd like to see pursued in the future. Today I give you the rest. Of all the games to feature on my list, this is probably the hardest one to describe and to articulate my thoughts with. Like Flower from 2009, Limbo left a strong and important mark on my gaming career, but for reasons of which I’m not entirely sure. It’s a beautiful game, the silhouette, shadowy art direction being a pleasure to see in screenshots and an absolute wonder in motion. Its use of silence was particularly endearing, both because so few games use silence effectively and because it enhanced the imagery on screen to create an experience that is unique. It’s brutal; communicates a sense of longing and bravery; and what you discover is at once terrifying and ominous, yet it’s these factors that make progress through the game so compelling and rewarding. It’s also short, sweet, and surprisingly emotional: the very example of the potential downloadable games have as well as what amazing things can be achieved within the indie space. Despite some claims that the farther it goes along, the sillier it gets, nothing in Limbo feels out of place and all of it feels like it was included for a reason. 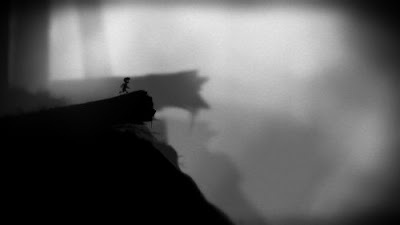 The obligatory discussion about whether it’s an example of art or not is, in my mind, irrelevant -- what Limbo is, is an experience like no other, and a game that deserves to be played regardless of whether you end up liking it or not. It takes an aesthetic, simplicity in its presentation yet complexity in its design, and contends with themes that don’t exist anywhere else, combines them, and creates a game that is just a sheer delight to experience. And, perhaps, it is that last word that explains why it features on this list: it’s not just another game and when you are done, it will stay in your mind rather than be forgotten. If that’s not the sign of something worth attempting again in the future, nothing is. Indie darling, breakout hit and my personal addiction, Minecraft surprised everybody when it became a phenomenon, including the game’s creator Notch who was suddenly a millionaire. But, when you look at what Minecraft provides and the kind of game it delivers, it’s not as surprising as it initially seems. A true sandbox title, Minecraft’s best asset is you, the player. The reason for that is simple: Minecraft is what you make of it. Much has been said about the game’s creative side, reminding people of Lego due to its blocky worlds and the enjoyment people have had making insane creations such as replicas of various real life constructs, interpretations of fantasy locations and the demonstrations of ingenuity, particularly using Red Stone. 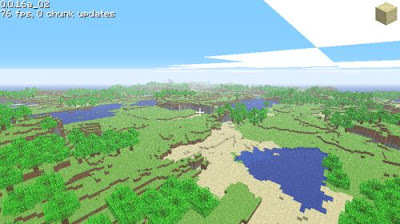 Others again have focused on the kind of experience Minecraft delivers, discussing its survival horror elements thanks to the need to find shelter at night to defend (read: hide) from the game’s enemies; its breed of fantasy born out of ‘waking up’ in a strange new land, uncertain of what you may find; and even on the platforming elements that come from climbing the game’s many mountains and caverns. That last one is a bit of a stretch but such is the imagination that Minecraft inspires in people and the dreaming they can’t help but do when it comes to the game’s world, crucial due to the way in which it is procedurally generated and unique to each individual who plays. So far, I’ve focused on my own feelings that I’ve had during the game, and the subtle but effective ways in which it can tell a story, despite not having a predetermined narrative (yet). There’s plenty more I want to talk about in the near future so I won’t go into detail here, but needless to say, Minecraft is on this list because it caters to a variety of play-styles and player desires, puts us in a world that is at once fascinating and entirely our own, and contains an insane amount of complexity hidden behind its simple art direction and accessible mechanics. It’s popular for a reason, amazing for so much more, and is the perfect example of how to captivate an audience and keep them interested through regular additions and, more importantly, through their own, personally defined goals. This is emergent gameplay at its purest and definitely a game other developers, indie or otherwise, should look to as they chase the ever elusive emergent gameplay prize. Amusingly, the game isn’t even finished yet and as we play, we’re all helping to develop it into something that should be even more special. Based on what we have already, the future is incredibly exciting for not just the game, but the impact it will have on the medium as well. It is pretty obvious by now that I’m absolutely in love with this game, my praise shortly after release coming thick and fast, and the role-playing series that followed demonstrating a desire to not only experiment with my writing and approach to games, but to inhabit the world of Formula 1 and see what comes of it. 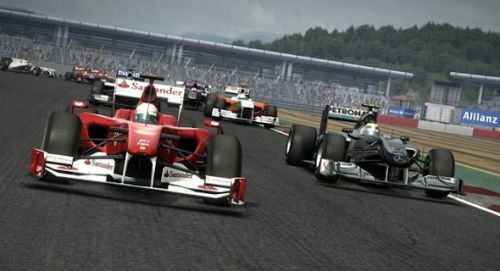 Whether that series has been successful or not is up to you but as far as the game itself is concerned, it is the best F1 game to come out in a long time and does everything a licensed game should. F1 2010 is more than just the tracks, the drivers and the cars; it’s about the lifestyle, the spectacle and the celebration of speed, technology and engineering (sound familiar?) as well. It’s about the ability to go as fast as possible around a track, as smoothly as possible and with a skill and finesse that isn’t just tricky to master, but something that can’t be replicated anywhere else. It’s about the highs and lows that come with each race, the drama and the emotion that result from it, and the desire to work harder than before to overcome and ultimately master any issues that may arise, be it from performance, mechanical components of the car, or the constant need to improve one’s driving style. It’s about entertaining the fans whilst satisfying the team, and meeting your own personal expectations, whatever they may be. In other words, it’s about the sport of Formula 1 and as such, it delivers the life and passion of motorsport as well as the brand and culture, culminating in a game that transcends its genre (and thus, competititon), elevates a sport that’s sometimes hidden behind the celebrities and controversy, and puts people on the track instead of behind the (virtual) wheel. The fact it was Codemasters’ first attempt, while impressive, is irrelevant; that it goes above and beyond what it means to utilize a license effectively highlights not only what can be done, but why it should be in the first place. Something has to be said for a game’s quality if it has the power to whisk someone obsessed with another title -- which we’ll get to in a minute -- away and obtain their full attention through sheer amazement over what was just experienced. Heavy Rain did this for me, and even now, months after release and after a series of posts discussing the game, I’m still not sure I can explain why. Ever since it was announced and I heard what Quantic Dream were attempting with Heavy Rain, combined with my enthusiasm for their previous game Fahrenheit, I was hooked and couldn’t wait to see what the final product would bring. Despite devouring any morsel of information I could find, the end result still surprised me and, like Alan Wake, I think it is purely because of the story and its characters. 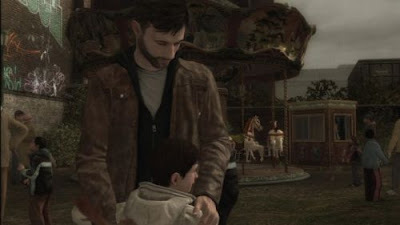 Unlike Alan Wake, however, Heavy Rain’s narrative was about as real as you can get in games today, focusing on themes that have never been explored (in a serious way, at least) previously, and centering the entire game around a father’s love for his children, and the lengths he would go to ensure their safety and wellbeing. Its mechanics may be a mixed bag of success and frustration; some of its characters may have not met their potential or were exploited in an unnecessary, silly way; and the eventual outcome and reveal of the Origami Killer may be disappointing -- both because it may have not been who you were expecting or wanted it to be, and because no matter how your personal story pans out, the person is the same -- but Heavy Rain delivered on its promise of a realistic narrative which ensures its position here. Its characters -- like it or not -- get under your skin, and that’s something few other games can achieve. To say Heavy Rain had to happen would be an understatement; to be thankful that it did would be to appreciate what it did manage to achieve, as well as highlight to the industry that this sort of thing -- regardless of how successful or not it happens to be -- needs to be explored further if we’re to truly obtain legitimacy as a creative, artistic medium, if not the dominant one. Surprise, surprise, a BioShock game is on the list. Come on though, as if it wouldn’t be -- you are reading a blog whose name was inspired by the franchise. Personal bias aside, however, BioShock 2 would have made the list anyway because, quite frankly, it was just so damn good. It isn’t easy releasing a sequel to a game that has gone on to become one of the medium’s best, and one that is constantly referred to when discussing important subjects. Not since Grand Theft Auto III have we had a game (and now franchise) that has inspired such reverence and discussion (Portal aside), and as such any follow up would be scrutinized. And BioShock 2 was, copping criticism by people who were strangely (in my opinion at least) sick of Rapture; who didn’t enjoy the gameplay a second time around; and who wanted it to be, perhaps unrealistically, better than the first game. The thing is it was better than the first game, maybe not in terms of the awe and beauty that the original displayed but certainly in terms of refinement of the game’s mechanics and definitely in the way in which it framed the hallowed, empty halls of Rapture in a new light. And it is this last point that is the most important: the new perspective BioShock 2 brought to Rapture didn’t just show us another side of the city, it changed it from being Andrew Ryan’s baby to being everyone’s, through its emphasis on highlighting the people rather than the power. The areas we visited in the first game were created for Rapture’s dignitaries and people of importance, as well as designed to showcase the unique personality and extreme attitudes that Andrew Ryan so incessantly portrayed, further exacerbated by the opposition struggle led by Fontaine. BioShock 2’s version of Rapture, on the other hand, doesn’t just showcase the areas in which the ‘common-folk’ live, it showcases why they’re just as important, if not more so, than the big-shot personalities found in the likes of the Medical Pavilion and Fort Frolic. By doing so, it provides insight into the inner workings of the city as a whole and illuminates the emotion, morals and resolve that its inhabitants have -- whether Ryan or Fontaine recognised it or not. 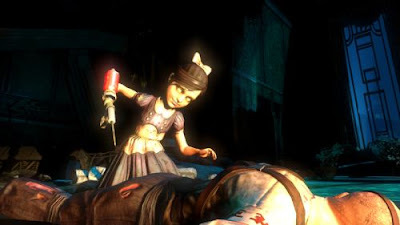 It may have introduced a new power, of sorts, with Sophia Lamb, and the importance of family -- particularly as far as the Little Sisters are concerned -- certainly played an integral role, but it was this new perspective with which to view Rapture that elevated BioShock 2 beyond sequel status and into the history books as a game worthy of attention, perhaps more so than its predecessor. Throw in the astonishing and incredible downloadable add-on Minerva’s Den, which further defined the city through yet another perspective and demonstrated so easily just how many stories are still yet to be told within those walls deep in the depths of the ocean, and you have a game that doesn’t just improve on what’s come before, but reinvents it and boasts to the world that anything you can do, can be done better. It is this mantra, whether you believe it fits the game or not, that needs to be acknowledged in the wider industry and, with any luck, is one that will become a motivation in the years to come. Best of all, for someone like me? Rapture may be dead as far its production and celebration of the self is concerned, but it has never been more alive when it comes to its potential and what can be discovered amongst its walls. All we have to do is visit it and explore it, the rest will happen naturally. So there you have it, my choices for 2010’s best games. Like all of you no doubt, I didn’t get to play everything that I wanted to during the year -- and I’m frustrated with myself for not being able to play games that were particularly high on my anticipation list -- but what I did experience was amazing and certainly suggests to me that gaming hasn’t just evolved, but that it is well on its way to a bigger, brighter and important future. Personally, the ability to inhabit brave new worlds whilst experiencing fascinating stories -- if not creating them ourselves -- was a really strong thing to take away from 2010, as was the celebration of the old, new and the processes in which they are made. Game spaces, stories and new perspectives were all important to me and, I have no doubt, will continue to be as we turn our attention to 2011. Based on the games I'm already chomping on the bit to play, it looks like this year will certainly give the last a run for its money -- no mean feat when you recall just how packed it was, and just what it brought to the table. Don't you just love videogames? Limbo was just amazing for me. I think Limbo showed the versatility of the Xbox 360 Arcade. Though it was short i think the game speaks for itself in style and gameplay. As for Bioshock, I wish I could have Rapture at my disposal. What I mean is having the entire city open to me to explore; no enemies or people needed. Maybe even two versions: one before Rapture turned belly up, and the one we are used to. I would be so content to simply explore Rapture for hours. Gaming in Public -- I'm more impressed that Microsoft supported it somewhat by including it in their Summer/Winter of Arcade promotion, a move that has seemingly paid off since if I'm not mistaken, Limbo was one of (if not the) biggest selling XBLA games of 2010. Not a bad feat for a small team who nobody knew about, with the kind of game that could have potentially fizzled. Thank god the right outcome happened in the end, and bring on whatever they are working on next! Alli893 -- You're appealing to my heart with the suggestion of exploring Rapture leisurely and without the distraction of Splicers or even the collapsed debris in the way. People on the other hand is something I'd want, maybe a Mass Effect-esque environment where you can engage with people as they're relaxing in Kashmir restaurant, perusing the shops of Fort Frolic or having fun at the Adonis resort. I have more to say on the reception to BioShock 2 and some of the reasons why I don't think Rapture is dead (or boring) just yet, so when I'm done with Mass Effect keep an eye out for that. I haven't gotten to Bioshock 2 yet, but the ability to just explore Rapture would be quite interesting. As an aside, however, it's the lack of any meaningful exploration in most of the hub levels of Mass Effect (1 & 2) that continues to disappoint me. Say what you want about the wooden models and repetitive voice acting, but the hubs of Oblivion come alive far more than any location in either ME game. David Hughes -- To be fair, Oblivion is structured differently to Mass Effect -- open world versus a linear experience -- but even so I agree. Visiting the new locations of Mass Effect 2 recently (since I'm late to the party and all) such as Illium and Omega has been absolutely fascinating, that science fiction aesthetic really capturing my attention with the beautiful vistas and unique building designs, but the actual spaces we get to explore are nothing more than a series of rooms once you've seen them all for the first time. No matter whether you visit at the start of the game or near the end, it's always the same characters in the same locations saying the same things, and that really takes you out of an otherwise wonderful world. I'd love to see this problem rectified in Mass Effect 3 now that they've sorted out the gameplay issues (for the most part), but that's probably unlikely so I can only dream that instead, we'll get future games that aren't part of the main trilogy that allow us to explore these locations in a more thorough way than is possible now. ROBLOX is powered by a growing membership base of over 300,000 creators who generate an infinite variety of highly immersive experiences. These experiences range from 3D multiplayer games and contests, to interactive adventures where friends can take on new identities to explore what it would be like to be a dinosaur, a miner working a mine or an astronaut out in space.